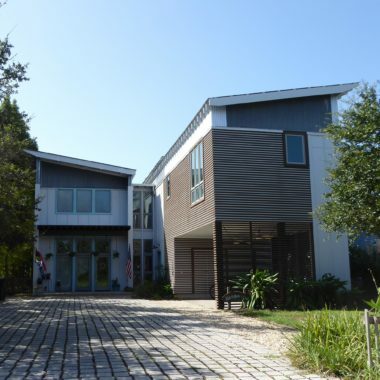 This house was designed to demonstrate environmental principles, but since surviving Hurricane Katrina as the first line of defense, it demonstrated resilience in its structural design. 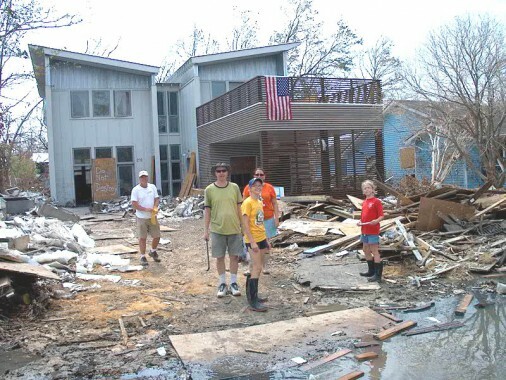 Built to meet the building code, this 3025 SF house withstood the hurricane conditions with over seven feet of water in the house, but the building remained intact. A small solar power system provides electricity and emergency power storage, with excess supplying the grid. 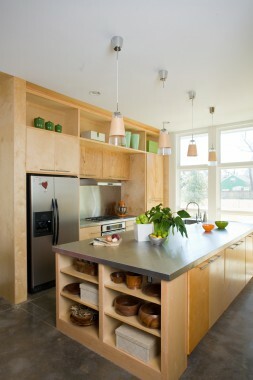 Minimizing redundancy and transportation of construction materials, the structure utilizes local, recycled and reclaimed materials with high-efficiency glazing, appliances, and air conditioning equipment. 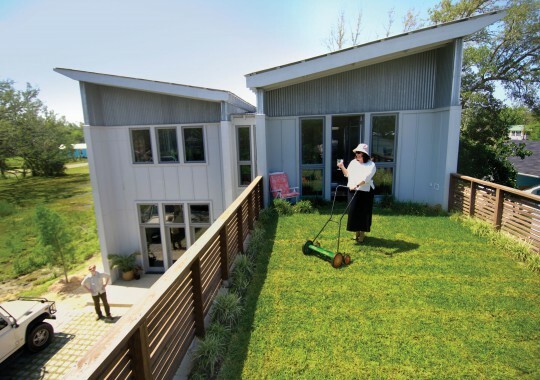 A green roof planted with native plants in an organic medium creates a cool, permeable roof area with high insulation value. The green roof helped to anchor the structure against the storm surge. A 2017 addition replaced the green roof with a home office. 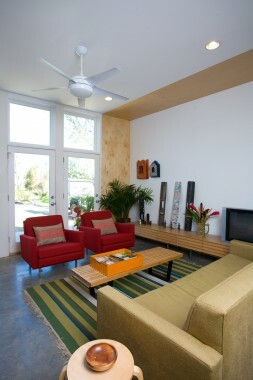 Program: 3025 SF, 5-bedroom house with 2.5 baths, demonstrating sustainable features.